Fri March 22 – The Fit – Rip Room – Little Zebra – $10. Sat March 23 – Ike Fonseca – William Surely – We Did it – Eddie Staxx – $10. Kitchen open late every night! 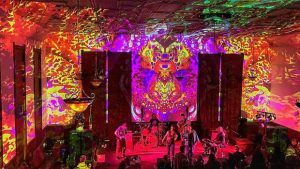 Thurs March 21 – Band Beyond Description – A Grateful Dead adventure – 8:30 p.m. – $10. Fri March 22 – Coburn Station – Funky, Truckee jam band – 9:45 p.m. – $8. Sat March 23 – Groove Session – Funk, Soul, Jam-Rock – 9:45 p.m. – $10. Craft cocktails, live music and fine company. Thurs March 21 – The Giant Steps Jazz Band featuring Lorraine Gervais – 7:00-10:00 p.m.
Fri March 22 – Blues music with Bob Mora and the Third Degree – 8:30 – 11:30 p.m. Sat March 23 – Tom MacDonald and Friends – 8:30 – 11:30 p.m.
Tues March 26 – Chris Crockett – 6:30 – 9:30 p.m.
Come to McGee’s for the only pool table & smoking deck in town, sports on 4 HD TVs & 10’ projector screen, & weekend nights party til you drop with Trap, Rap, Top 40, Old School, & Hip Hop D.J. shows with black lights, lasers, fog, & bubbles. Friday & Saturday $5 Cover Special 9 to 10:30 p.m. includes 1st drink – any drink! Friday & Saturday Nights, “Back Lounge” Party featuring internet juke box, pool table, smoking deck, and $2 shot specials. 7 p.m. to 12 a.m.-No Cover! Thurs March 21- Third Thursdays Celtic Session in the dining room – 6 – 9 p.m.
Fri March 22 – Mikel Paul & The Blaze Bros – original jazz and classics– 6 – 9 p.m. – $5. Sat March 23 – The Heifer Belles – Original Back porch Americana – 6:30 – 9:30 p.m. – $5. Sun March 24 – Peter Wilson & Paul Emery – 6 – 9 p.m. – $5. Fri March 22 – Groove Foundry – Tahoe Funk – 9:30 p.m. – 2 a.m. Sat March 23 – Sharu – Trapical Beats – 9:30 p.m. – 2 p.m.
Sun March 24 – Then Again – Classic rock Dinner Show – 6 – 9 p.m.